In these dire times for Australian cricket, coach Justin Langer and the national selectors have been looking for young, talented batsmen who can drag a flagging Australian side out of the quagmire of regular batting failures and collapses. Sheffield Shield cricket, and the BBL, have long been considered the proving ground for young players. 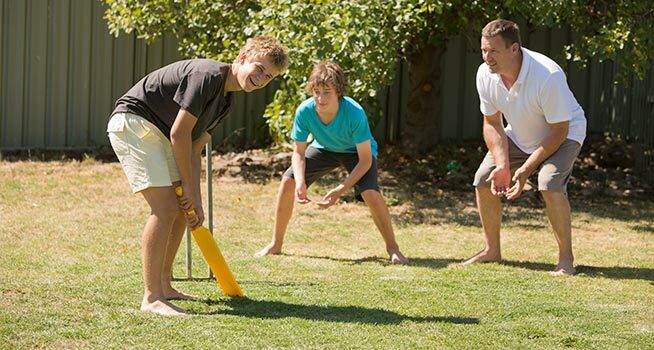 But backyard cricket now appears to be the hottest ticket for a way into the Test side, with a local ‘weird’ cousin’s classy innings of 42* warranting a Baggy Green cap. Stevie Pearce (11), an odd little man who picks at his scabs and watched Law & Order: SVU when he was far too young, is as talented a cricketer as he is at making new friends, which is to say, not overly. But for Justin Langer, Australian cricket in 2018 is not about talent - it’s about grit, it’s about heart, and it’s about the fact Stevie was able to last ninety-eight deliveries against 16-year-old cousins were bowling bouncers like they were going out of fashion. ‘Pretty hard to keep it cool when a red leather ball is flying at your skull,’ said Stevie, sucking down a Zooper Dooper midway through his brave, match-defining innings. ‘But it’s just like finding a magpie at the playground and kissing its feathers - second nature to me!’ the little guy chuckled, unaware of how shocked we were at that disturbing revelation. Stevie’s battered Rebel Sport bat was a clear indicator of his ability to hang around and frustrate the bowlers, and the bruises on his body that day showed that he had the courage necessary to come out at No. 3 against India in December. Apparently, he’s happy to forgo his match payment, as long as he’s allowed to have sausage rolls dipped in chocolate milk for lunch, a deal that Shane Warne is also reportedly trying to get in on.